I hate labeling. I know my blog would probably do better if I labeled everything vegan, dairy-free or gluten-free, but I truly feel that 90% of my recipes can be made into whatever you need them to be with a simple substitution. 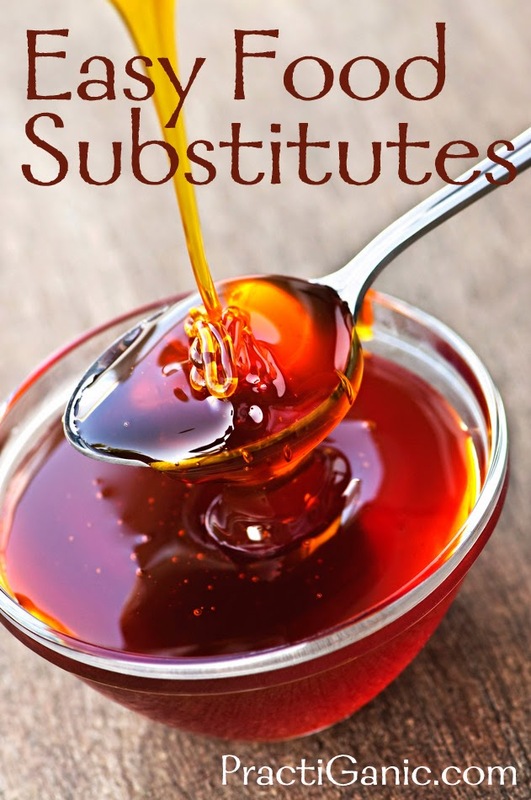 Here's the substitutes that I use most and find very effective in both cooking and baking. I would love to hear if you have some good ones too that I can add to the list! Happy substituting. Many people us tortilla chips or even rice crispies. I have found, in cooking, the best substitute is Lundberg Sea Salt Rice Chips. They hold their crunch and add a great flavor. I have even done whole rolled oats with good luck. Avocado Purée: 1 cup for 1 cup but increase other liquids because the avocado won't melt like butter. Heavy Cream: Use canned coconut milk. Don't worry, you won't get the sweet coconut taste! Mayonnaise: Use avocado purée or veganaise. Milk: I will use just about any milk alternative for cooking but for baking I like using coconut milk (not the canned but the milk alternative found in the milk aisle. It mixes well, has a great consistency and won't separate like other milks may tend to do. Cheese: Nutritional Yeast makes great cheese sauces (try the sauce in my Vegan Mac n Cheese for almost anything) I like using cashews nut for most other cheese mixtures. creamy and powdered (Vegan Parmesan Cheese). Chia Seed Egg: 1 T chia seeds + 3 T water = 1 egg. *Let all egg mixtures sit for 10-15 minutes before adding to your other ingredients. *Once you replace more than one egg per recipe, you may have to play with your baking times since eggs add moisture. Smy-Salt! You can't go wrong with this easy salt substitute recipe! Applesauce: Use equal amounts for baking. Decrease other liquids by 1/4 c per 1 cup of applesauce. Add applesauce to wet ingredients. Honey: Use 2/3 amount of honey. For every 1 cup of honey, decrease the other liquids in the recipe by 1/4 c.
Maple Syrup: Use 2/3 amount of honey. For every 1 cup of honey, decrease the other liquids in the recipe by 1/4 c.
*For honey and maple syrup, lessen the oven temperature by 25º because the liquids will caramelize or burn faster. *I used to use agave nectar a lot as a vegan sugar substitute but I just can't determine if this is actually a healthy substitute or not ... Agave is still in its youth and there is a lot of 'research' that shows both the good and the bad so I just stay away and stick to the tried and true Pure Wisconsin Maple Syrup for my vegan needs!